It is strange but true, current sports nutrition research suggests that by eating the correct types of nutrients before and after your training can reduce the risk of over-training! I say strange because traditional training theory teaches us that appropriate rest between training bouts and training cycles is the best strategy we can use to combat overtraining syndrome. So, what is this condition we call overtraining syndrome? Functional Overreaching - This where the athlete executes a normal training load which causes fatigue, but after a period of rest they return to normal or better. Non-functional Overreaching – This is training which causes a more severe level of fatigue than normal and which with usual rest, does not return you to peak fitness. Under these circumstances the coach will have to delay the return to normal training loads until the athlete is fully recovered. Overtraining – This is a state that you reach when you ignore the symptoms of non-functional overreaching. Where you and your coach get into a cycle of thinking that more training will solve your underperformance, to find that you have only made the problem worse through lack of recovery. The most unfortunate thing about overtraining is, by the time you recognize you have the problem it’s already too late to do much about it. It has been firmly established for some time now that ingesting carbohydrates immediately after a session (within 30 minutes) will improve your glycogen uptake following that bout of exercise faster than if carbohydrate is delayed. More recently sports nutrition research is investigating how the timing of carbohydrates intake can influence overtraining. In a sports nutrition research study, athletes were put through their paces for 8 days. During the study, athletes consumed drinks low in carbohydrates (2%) and drinks high in carbohydrates (6%). Immediately after each training bout, where the athlete ingested low carbohydrates, they maintained their 2% concentration afterwards. However, when they ingested the higher carbohydrates intake during exercise, they consumed a drink with a 20% concentration afterwards. 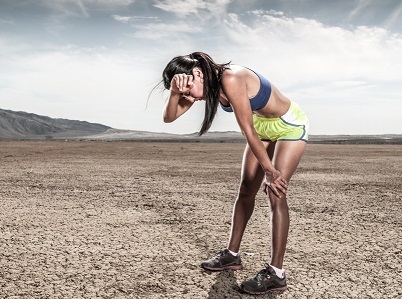 Over the 8 days of intensified training, all athletes experienced fatigue. However, the low carbohydrates athletes experienced a more marked decline in their mood, in their performance and an increase in their perceived efforts during exercise. These factors were not present when high carbohydrates were ingested. Further, following the 8 days of intensified training the athletes were given 14 days of reduced training to promote adequate recovery. The result was an increase in performance above where the athletes started. However, this was only the case when athletes had high intake of carbohydrates. Performance remained supressed when carbohydrates intake was low. The conclusions are quite clear from this sports nutrition research. In both instances, the same training stimulus resulted in the athlete becoming extremely fatigued. However, full recovery even after an appropriate rest period was only achieved when high carbohydrates intake was ingested. Therefore it is quite clear that optimal recovery from exercise is more than just lowering the demands of the training stimulus. Optimal carbohydrates intake can also be a strategy you can utilize to combat overtraining. From "Sports Nutrition Research and Overtraining Syndrome" To " Faster, Stronger, Better – Your Shortcut To Improved Athletic Performance"